If you could earn yourself $20,000 for an hour or two of work, I’m guessing you’d think that’s a pretty good deal; and you’d be right. But when that same equation is presented with a pay-day that’s 20 or more years down the track, it’s hard to be as motivated. For instance, the cost in fees of maintaining several super accounts could erode your final retirement savings by tens of thousands of dollars. But many of us put off taking the time to sort out our superannuation. Similarly, we could be costing ourselves thousands of dollars in interest by not better managing our credit card debts. MoneySmart Week is a good excuse to stop and take stock of our money issues. The not-for-profit initiative runs from 1 – 7 September and encourages all Australians to take simple steps to improve their finances. This year, Aussies are being asked to sign up for the MoneySmart Week Challenge. The MoneySmart Week Challenge asks people to pick one financial challenge to address and provides a free, step-by-step guide to completing the challenge with a range of great resources that can help answer any questions you have along the way. 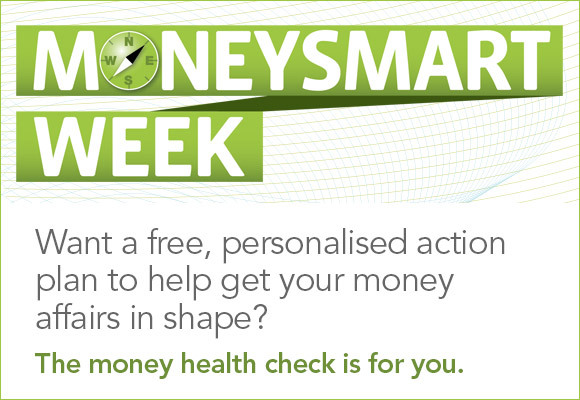 Visit www.moneysmartweek.org.au and register for the Challenge today.